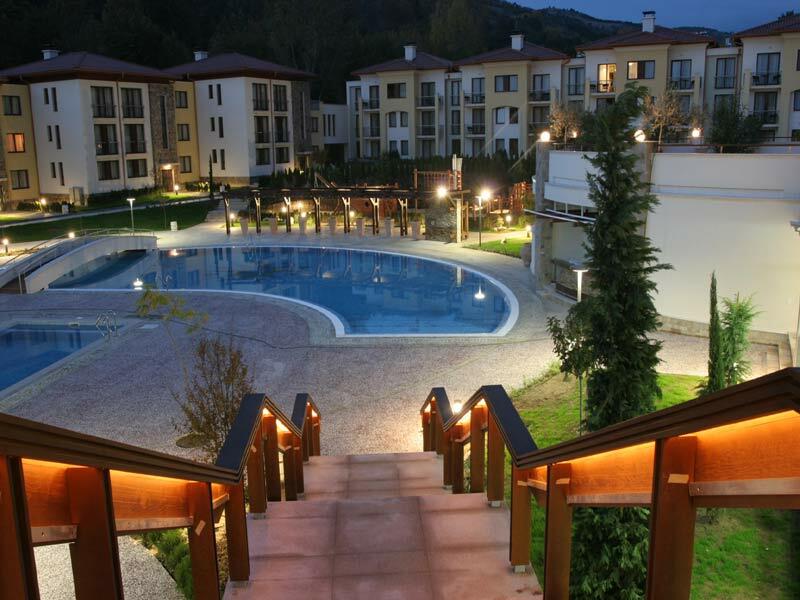 Pirin Park Hotel, member of "Sharlopov Hotels" chain, is a dream come true for anyone, who desires to be charged by the dazzling beauty of its gardens, healing mineral water and the magnificent views, feeling comfortable at your cozy and sunny home away from home. In the beginning of 2009, as a pilot Europe project of the Еuropean Spas Association, the five-star Pirin Park Hotel in Sandanski became the first Bulgarian hotel that received a EUROPESPA WELLNESS seal of approval, verifying that Pirin Park Hotel meets all European requirements for wellness facilities, safety, hygiene and quality of service. 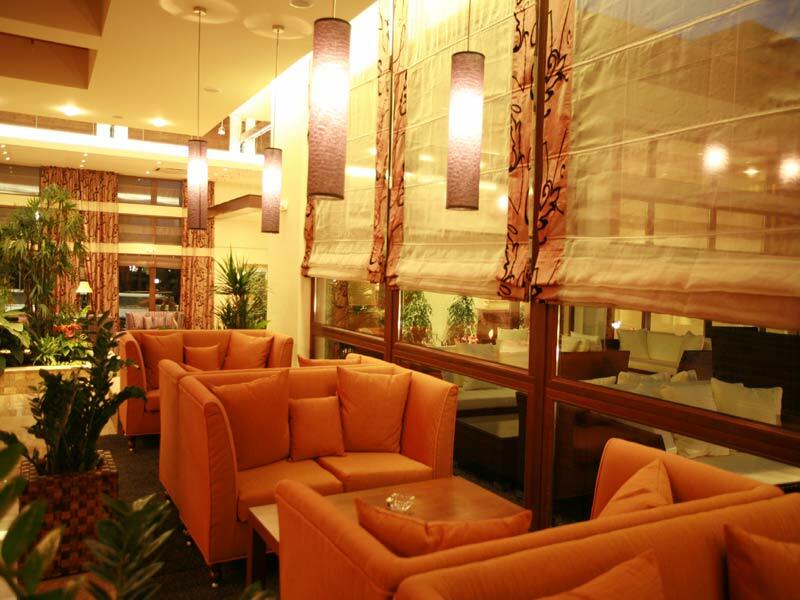 The elegant 5-star Pirin Park Hotel is situated on the west slopes of Pirin mountain, along the mouth of the picturesque Sandanska Bistritsa River, next to the fresh park of Sandanski SPA and climatic resort - the best natural healing centre for bronchial asthma in Europe. 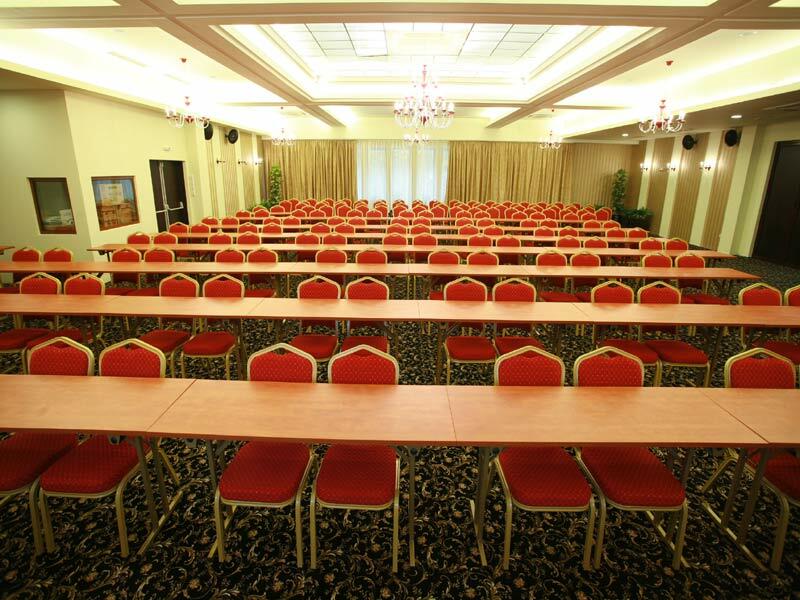 Casino; green garden and park; an open-air kindergarten; chapel; two opened swimming-pools - one for adult and one for children; parking; children\'s room; Wireless internet; 6 conference halls; Business centre. 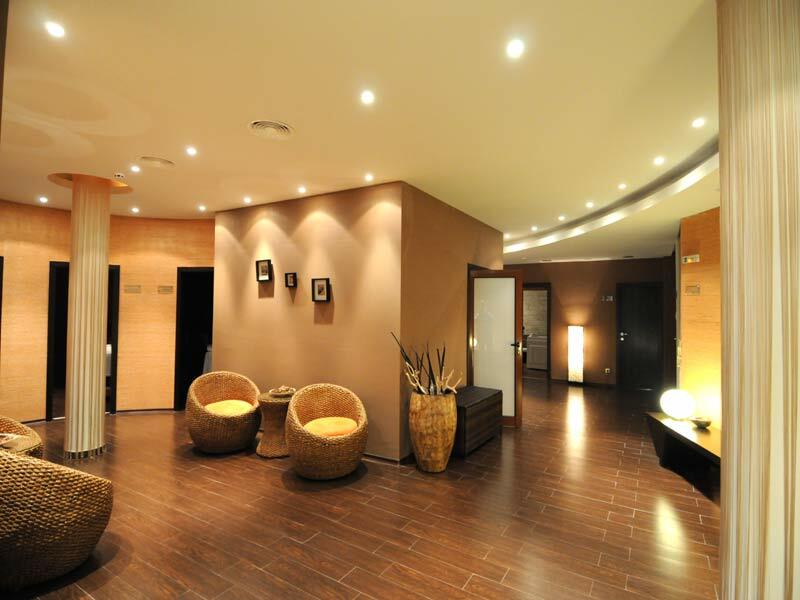 Offers unique combination of traditional balneology, typical Bulgarian herbs and fragrances / rose oil /, rich range of the prominent in Bulgaria and all around the world Spa & Wellness procedures and programmes. 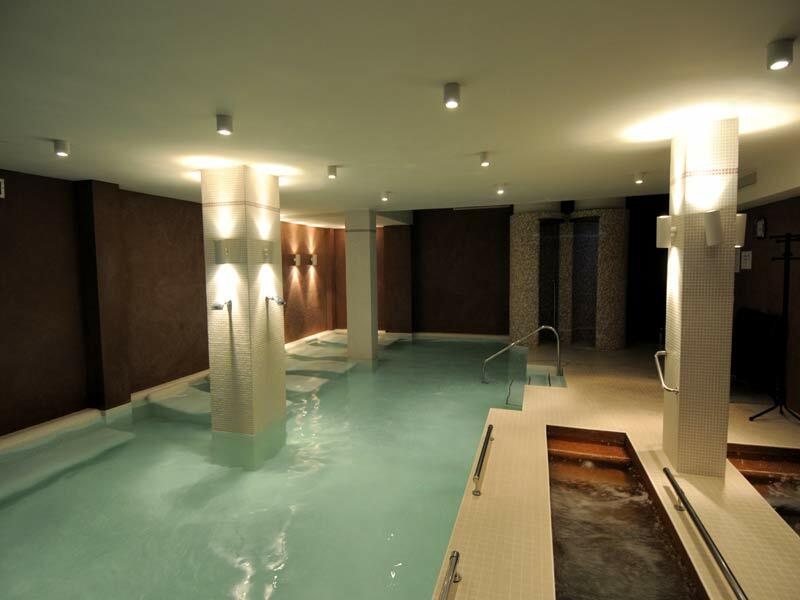 2 indoor and 2 outdoor swimming pools with hydromassage jets, children's swimming pool, Jacuzzi, sauna-park: Finnish sauna, Bio sauna, Caldarium, Laconium, Frigedarium with ice-cold fountain, emotional showers, Kneipp, relax and hot beds zones; solar studio. 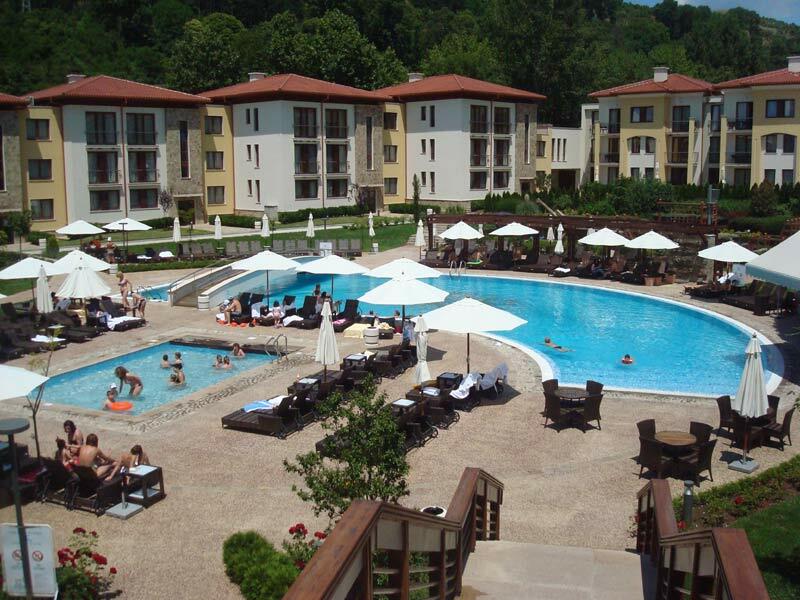 The invigorating gifts - sun, water and health are guarantee for your complete rest in Pirin Park Hotel in Sandanski. 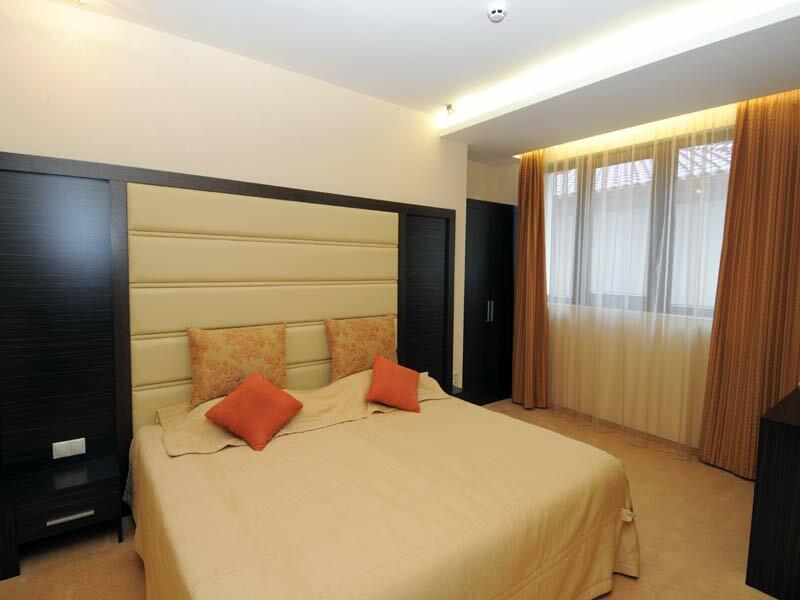 The price include: breakfast, parking, high speed WiFi internet, shuttle bus to the center of the city (v.v. acc. to the schedule); fitness, indoor pool, hydro massage jets, children's pool, Jacuzzi, outdoor swimming pool, children's pool and playground in the garden. Supplement for (EUR 11.00): Sauna park (Finnish sauna, bio-sauna, caldarium and laconium steam baths, Ice fountain, showers "of emotion", relax zone). 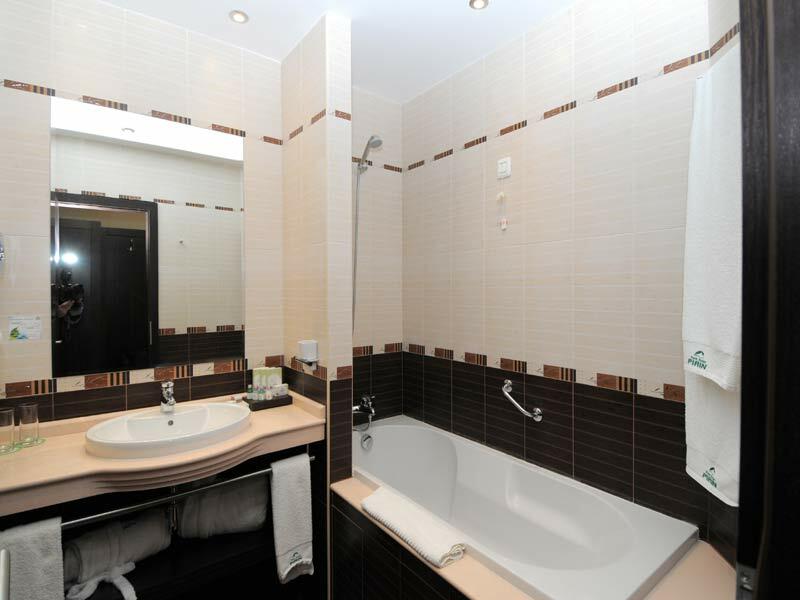 • Sport - Fitness; Swimming-pool; Children swimming pool; Jacuzzi; Finland sauna;Herbal sauna; Steam bath; Caudarium; Laconium; Tepidarium; Therapeutic baths; Ice-room; Relax zone. • Massages - Classic Massage; Aromatherapy; Bulgarian aromatherapy; Reflex-therapy; Remedial massage; Sport massage; Massage "California"; Chocolate massage; Honey massage; Manual therapy and mobilization; "Bamboo dreams" Massage. • SPA therapies for face - Therapy with caviar and gold; "Luxury Diamond" therapy; "Anti-wrinkle "Botorelax"; Cleansing therapy; Hydro-therapy; Nourishing therapy; Revitalizing therapy; Collagen therapy. • SPA therapies for body - Turkish bath; "Rasul" ritual; Massage with brush and herbal soup; Massage with sea salt and oils; Anti-cellulite therapy - lymph drainage, body-wrapping, passive electro-gym, vacuum-therapy; SPA rituals - "Relax", "Tonic", "Detox"; Breast lifting therapy; Anti-stress therapy for men. • Aeurveda therapies - Shirodhara; Pindasveda; Baisvedana; Aromatherapy; Hot stone massage. 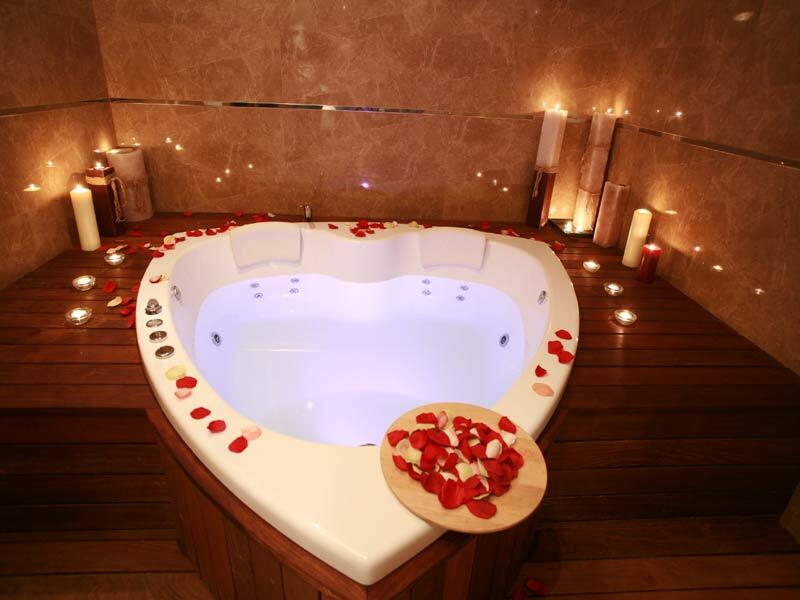 • VIP zone - Seraglio bath; Aromatic bathа with little rose flowers for two; Two hot stone massage beds; Relax zone.